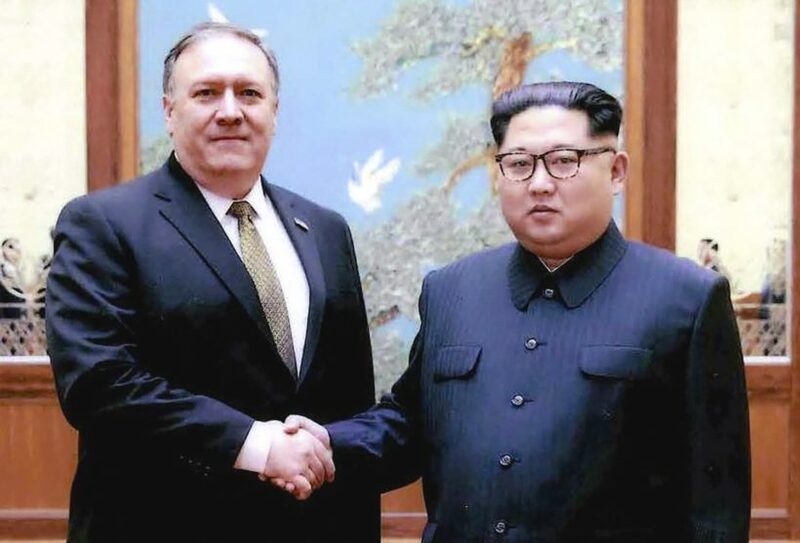 (by Agence France-Presse) – North Korea has promised to shut its atomic test site within weeks and invite American weapons experts to verify its closure, Seoul reported Sunday, as new US Secretary of State Mike Pompeo said Washington had an “obligation” to pursue peace. North Korean leader Kim Jong Un — who may meet US President Donald Trump as early as [May] — also said Pyongyang would have no need for nuclear weapons if it were promised it would not be invaded, according to Seoul. Friday’s historic meeting saw Kim and South Korean President Moon Jae-in agree to pursue the complete denuclearization of the peninsula. Washington’s new chief diplomat said he and Kim held in-depth talks about a denuclearization “mechanism” when [he met with him in Pyongyang] over Easter. “We talked a great deal about what it might look like, what this complete, verifiable, irreversible mechanism might look like,” Pompeo said. “We have an obligation to engage in diplomatic discourse to try and find a peaceful solution so that Americans aren’t held at risk by Kim Jong Un and his nuclear arsenal,” Pompeo told ABC, saying there is a “real opportunity” for progress. He was speaking as the Blue House [Korea’s White House] in Seoul reported Kim told Moon during the summit he would close the North’s nuclear test site in May. Kim also said he “would soon invite experts of South Korea and the US as well as journalists to disclose the process to the international community with transparency,” Seoul’s presidential spokesman Yoon Young-chan added. Tensions spiked last year over the North’s testing of atomic weapons and long-range missiles, including some capable of reaching the US mainland. “Kim said ‘the US feels repelled by us, but once we talk, they will realize that I am not a person who will fire a nuclear weapon to the South or the US or target the US’,” according to Yoon. Kim also slammed speculation that the North’s Punggye-ri nuclear test site was already unusable after an underground tunnel there reportedly collapsed. “As they will see once they visit, there are two more tunnels (at the test site) that are even bigger… and they are in good condition,” he was quoted as saying. 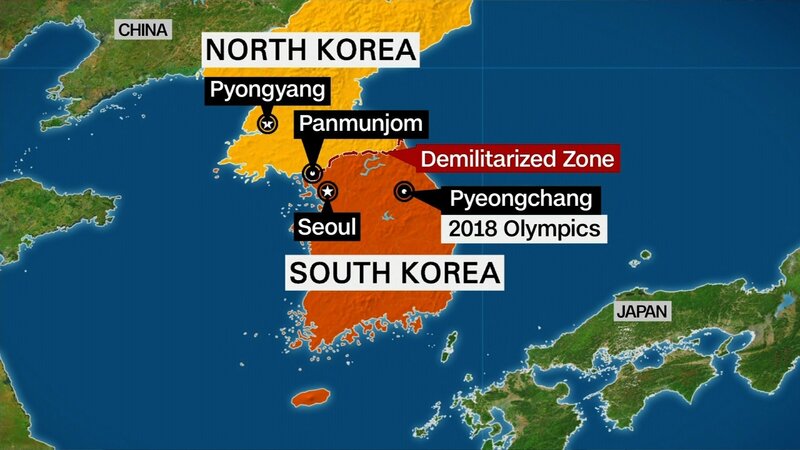 …..
North Korea has agreed to send a delegation to next month’s Winter Olympics in South Korea and to hold talks with Seoul to ease military tensions, in the most significant thaw in relations between the neighboring states in years. [Also of note]: in another conciliatory gesture, Kim said he would move North Korea’s clocks 30 minutes forward to unify with the South’s time zone. Pyongyang had changed its standard time to half an hour behind the South in 2015. North Korea’s parliament on Monday adopted a decree to return to the same time zone as South Korea from May 5, the North’s official KCNA news agency said. Published at Agence France-Presse on April 29, 2018.
c) How does Mr. Pompeo describe U.S. requirements for an agreement over denuclearization of the Korean peninsula? d) What did Kim Jong-Un say about inspections of the North’s atomic test site? e) In 1994, then-President Bill Clinton made a nuclear deal with North Korea. President Clinton said it was a good deal that would prevent North Korea from obtaining nuclear weapons. Unfortunately, it did not work out as hoped. President Trump didn’t agree, and the U.S. persuaded the UN to impose extremely strict economic sanctions on North Korea. Many experts and most media reports warned that Trump’s tough talk would get us into a nuclear war with North Korea. 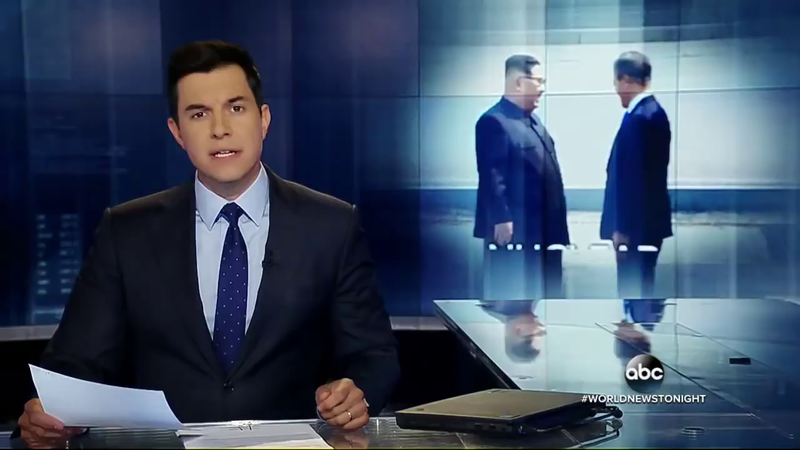 Many now are dismissing the president’s role in the historic events taking place, or warning that this is just another stall tactic by North Korea. Ask a parent what he/she thinks about President Trump’s efforts in forcing North Korea to denuclearize and what the possibility of it actually occurring are.